Since 1973 the Honda Civic has been at the forefront of the hatch market. Distinctively styled with sleek curves and a sharp nose highlighted by narrow, slanted headlights, it truly stands out wherever it goes. Step inside and you’ll find the Civic no less unique. High-quality abounds with soft-touch materials and an excellent selection of standard equipment. Engines range from a sprightly 1.0-litre turbocharged petrol on the newer models to the powerful and popular 1.8-litre unit. Whichever you choose you’re guaranteed a sporty drive, complemented by Honda’s trademark agile handling and exceptional ride comfort. There’s space for all too: the striking exterior style of the used Honda Civic doesn’t compromise on headroom for passengers. There’s plenty of legroom, making it a perfect option for friends and family of all sizes. Add to that impressive boot space – one of the best in its class – and you have a car that not only oozes class but practicality. 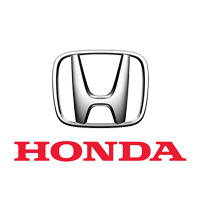 The Drift Bridge Honda dealerships in Gatwick and Redhill offer a range of quality used Honda Civic models for you to choose from. Browse through our listings below or contact us by phone or our online form today to enquire about the vehicles we have in stock.